This is a first for me. 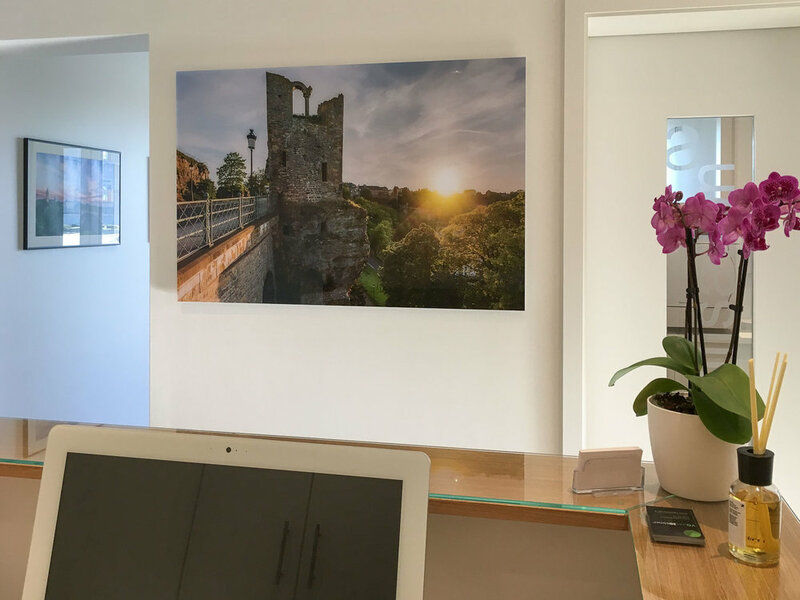 I have done banks, bars and restaurants, but putting my works on display in a dental practice is all new for me. I have been approached recently by two very nice doctors who had just opened up a new cabinet in Mamer, Luxembourg. After meeting up and discussing various possibilities to exhibit my artworks, I am glad this new private exhibition is now set up and ready. This exhibition will last until January 2018. The artworks on display all feature the city of Luxembourg. Some artworks are framed art prints, while others are acrylic glass prints. The size of the various art prints ranges from 60x40cm up to some large 120x80cm prints. Well, since the dental practice is obviously not a public place, the exhibition is somewhat limited in access. So you may see the artworks by 'simply' going to the dentist. 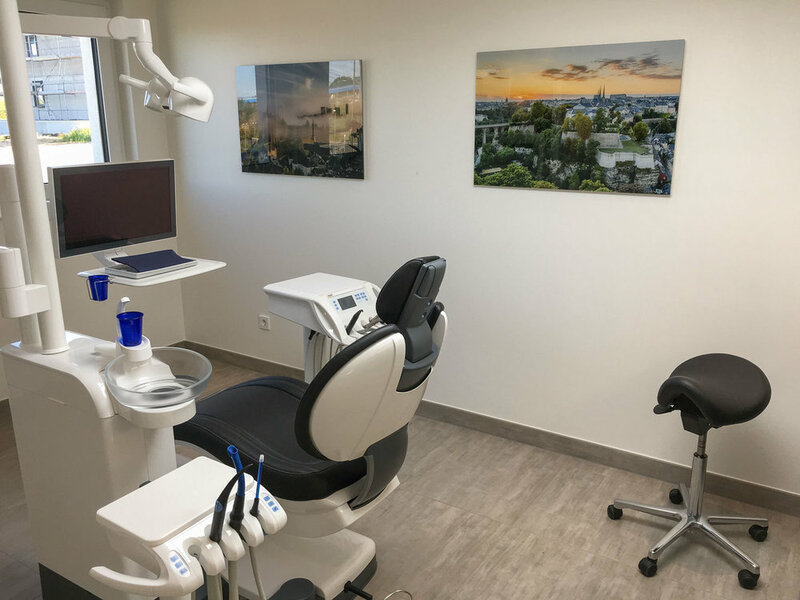 If you prefer not to suffer through a dentist appointment, you can also send me a message or give me a call, and we will arrange a special visit at the exhibition.